Backlight control: Short press the key to turn on or off the backlight, the backlight has memory function, it can store the on or off state when power off. Step1: Long press the key for 5 seconds until the energy value flash, then release the key. Step2: Short press the key again, then the energy value is cleared and exit the reset flashing state. Step3: If there is no operation on the key within 5 seconds, it means the energy value is not cleared and will exit the reset state. Step2: Power window display the current power alarm value and the last digit begin to flash, then you can short press to plus 1, when there is no operating over 3 seconds, it will switch the digit position automatically, the setting method is as same as the above. 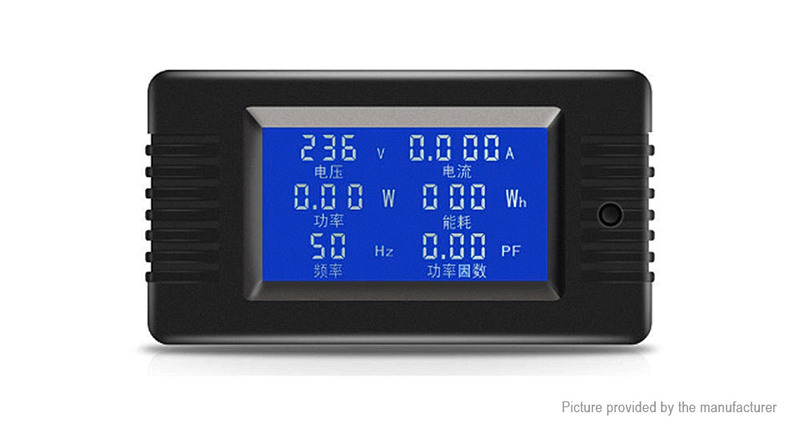 Step3: After finish the setting, long press the key over 5 seconds will store automatically and exit, the range of active power threshold is 0.0~2.5KW. This module is suitable for indoor, please do not use outdoor. Applied load should not exceed the rated power. Wiring order can’t be wrong.